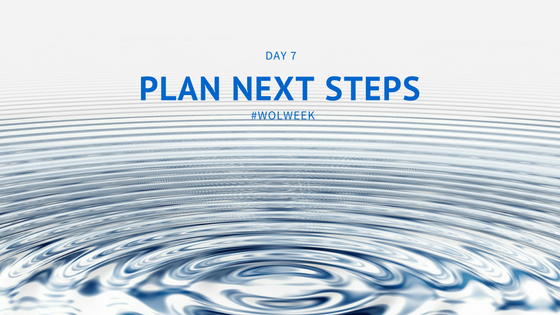 Today is the last day of Wolweek. This event will soon be done. The stone disappears and the ripples spread. Are you ready to go with them? Working out loud this week has clarified purposes, created connections, deepened relationships and expanded shared context. None of that ends. This week has been about the human part of our work. That part always goes on, even when there’s no more work. When an external impetus falls away, we only continue with an internal one. Now it is up to you. The best way to continue is to plan your next step. Traditionally at the end of an learning experience you are asked to write down what you are going to do next. If you are brave, you might share that plan with others in the hope that putting a plan out into the world makes it more secure. You might even break that plan down to goals, benefits and habits to sustain progress. For the brave there is one preliminary step: ask your trusted network to advise you on what you should do next. Ask 5 people to tell you your strengths, your passions and to describe what they see in you. Use these conversations to enrich and sustain your plan. Reflection alone is valuable. Reflection together in community is transformative. Seeing your potential through the eyes of others will create and enable new plans. You will likely gather a few peers to assist in that ongoing journey. Best of luck with those plans. Best of luck for working out loud from this day hence. 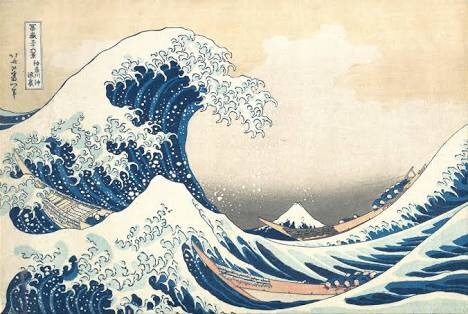 May your ripples spread across the water as a growing wave. Thanks for your support of Wolweek.